Buncha pages were updated on 4/14/19. The News, Suedes and Suede's Timeline pages were updated on 2/26/19. The News, Suedes and Suede's Timeline pages were updated on 2/23/19. The News, Sketchers, Sketcher's Timeline and Litters pages were updated on 2/9/19. The News, Sketchers, Sketcher's Timeline and Litters pages were updated on 2/3/19. Buncha pages were updated on 1/27/19. Buncha pages were updated on 1/13/19. Buncha pages were updated on 12/2/18. The News, Sketcher's and Sketcher's Timeline pages were updated on 11/16/18. Buncha pages were updated on 11/12/18. Buncha pages were updated on 11/11/18. The News, Suede's and Suede's Timeline pages were updated on 10/30/18. The News, Sketcher's and Sketcher's Timeline pages were updated on 10/20/18. Buncha pages were updated on 10/14/18. The News, Sketcher's and Sketcher's Timeline pages were updated on 10/13/18. Buncha pages were updated on 10/9/18. Buncha pages were updated on 9/20/18. The News, Sketcher's and Sketcher's Timeline pages were updated on 9/3/18. The News, Sketcher's and Sketcher's Timeline pages were updated on 8/25/18. Buncha pages were updated on 8/24/18. The News, Suede's and Suede's Timeline pages were updated on 7/28/18. Buncha pages were updated on 7/24/18. The News and Front pages were updated on 7/1/18. Whole buncha pages were updated on 6/24/18. Whole buncha pages were updated on 6/23/18. The News, About, Litters and Titles pages were updated on 6/17/18. The News, Sketcher's and the Home pages were updated on 6/8/18. Whole pile o' pages were updated on 6/3/18. The News, Sketcher's timeline and the Specialty page were updated on 6/2/18. Whole buncha pages were updated on 5/27/18. The News, Sketcher's timeline and the Front page were updated on 5/15/18. The News, Sketcher's timeline and the Front page were updated on 5/12/18. The News, Sketcher's and Sketcher's timeline pages were updated on 5/11/18. Whole buncha pages were updated on 5/5/18. Whole buncha pages were updated on 5/3/18. The News, Front, Litters, Sketcher's and Sketcher's timeline pages were updated on 4/15/18. The News, Sketcher's and Sketcher's timeline pages were updated on 4/7/18. The News and Sketcher's timeline pages were updated on 3/18/18. The News, Sketcher's, Sketcher's timeline and Front pages were updated on 3/17/18. Whole buncha pages were updated on 3/3/18. The News and Sketcher's timeline pages were updated on 2/4/18. The News and Sketcher's timeline pages were updated on 2/3/18. The News, Sketcher's, and Sketcher's timeline pages were updated on 2/2/18. Sketch's timeline page was updated on 1/17/18. Whole buncha pages were updated on 1/14/18. Whole buncha pages were updated on 12/4/17. Whole buncha pages were updated on 11/17/17. Whole buncha pages were updated on 11/12/17. Whole buncha pages were updated on 11/11/17. The News, Sketcher's, and Sketcher's timeline pages were updated on 11/5/17. The News and Sketcher's timeline on 10/29/17. A whole buncha pages were updated on 10/16/17. The News, Sketcher's, Sketcher's timeline and Litters pages were updated on 9/29/17. The News, About Us, Litters and Titles pages were updated on 9/25/17. The News, Sketcher's and Sketcher's timeline pages were updated on 9/22/17. The News, Suede's and Suede's timeline pages were updated on 9/3/17. The News, Litters and Titles pages were updated on 8/29/17. Sketcher's, Suede's, and News pages were updated on 8/28/17. Whole pile of pages were updated on 8/7/17. Whole pile of pages were updated on 7/10/17. Whole pile of pages were updated on 6/27/17. The News, Sketcher's, and Sketcher's timeline, were updated on 6/25/17. The News, Sketcher's, Sketcher's timeline, and Litters pages were updated on 6/18/17. Whole pile of pages updated on 6/11/17. The News, Sketcher's, Sketcher's timeline, About Us, Our Dogs and Litters pages were updated on 6/4/17. The News, Sketcher's, Sketcher's timeline and Litters pages were updated on 6/3/17. Whole pile of pages updated on 5/15/17. The News, Sketcher's, Sketcher's timeline and the High in Trial pages were updated on 5/13/17. The News, Sketcher's, Sketcher's timeline and the Litters pages were updated on 5/12/17. Whole pile of pages updated on 4/24/17. The News, Sketcher's, Sketcher's timeline, Teaz's, and Teaz's timeline pages were updated on 4/7/17. Whole pile of pages updated on 3/19/17. The News, Sketcher's, Sketcher's timeline pages were updated on 3/18/17. The News, Sketcher's, Sketcher's timeline pages were updated on 3/17/17. The News, Sketcher's, Sketcher's timeline pages were updated on 3/11/17. Whole pile of pages updated on 2/26/17. The News, Sketcher's, Sketcher's timeline and Suede's pages were updated, and Suede's timeline page created on 2/15/17. The News, About, Litters and Titles pages were updated on 2/23/17. Whole pile of pages updated on 2/10/17. The News, Teaz's and Teaz's timeline pages were updated on 2/2/17. The News, Teaz's and Teaz's timeline pages were updated on 1/14/17. The News, Sketcher's, Sketcher's Timeline, About Us, History, Litters and Titles pages were updated on 12/4/16. The News, Sketcher's and Sketcher's Timeline pages were updated on 12/3/16. The News, About, Litters and Titles pages were updated on 11/20/16. The News, Sketcher's and Sketcher's Timeline pages were updated on 10/30/16. Whole buncha pages updated on 10/22/16. The News, Teaz's and Teaz's timeline pages were updated on 9/24/16. The News, Front page and whole buncha other pages were updated on 9/19/16. The News, Teaz's and Teaz's timeline pages were updated on 9/18/16. The News, Teaz's and Teaz's timeline pages were updated on 9/4/16. The News, Teaz's and Teaz's timeline pages were updated on 9/3/16. The News, About Us, Titles, Litters, History, Sketcher's and Sketcher's timeline pages were updated on 7/24/16. The News, About Us, Titles, Litters and Home page were updated on 7/8/16. The News, Titles, Litters and Home pages were updated on 6/7/16. The News, Teaz's, and Teaz's timeline pages were updated on 4/10/16. The News, Teaz's, and Teaz's timeline pages were updated on 4/9/16. The News, Teaz's, and Teaz's timeline pages were updated on 3/21/16. The News, Teaz's, and Teaz's timeline pages were updated on 3/19/16. The News, Sketcher's and Sketcher's timeline pages were updated on 3/5/16. The News, Our Dogs, Teaz's, Teaz's timeline and About pages were updated on 2/18/16. The News, Sketcher's and Sketcher's timeline pages were updated on 2/21/16. The News, Teaz's, Teaz's timeline, Sketcher's and Sketcher's timeline pages were updated on 2/20/16. The News, Teaz's, and Teaz's timeline pages were updated on 1/31/16. The News, Teaz's, Teaz's timeline and Lucky Kitty 106 pages were updated on 1/17/16. The News, Teaz's, and Teaz's timeline pages were updated, and Lucky Kitty 106 created on 1/16/16. The News, Teaz's, Teaz's timeline, Our Dogs and Lucky Kitty 105 pages were updated on 12/29/15. The News, Teaz's, Teaz's timeline and Lucky Kitty 105 pages were updated on 12/28/15. The News, Teaz's, Teaz's timeline, Our Dogs, Titles and Lucky Kitty 105 pages were updated on 12/20/15. Photos were added to the News, Rapid's and Rapid's timeline pages on 11/18/15. The News, Teaz's, Teaz's timeline and Lucky Kitty 105 pages were updated on 11/14/15. The News, Rapid's, Rapid's timeline, History, Our Dogs and Lucky Kitty 105 pages were updated on 11/13/15. Lucky Kitty 105 page was created on 10/12/15. The News, Teaz's, Teaz's timeline, Rapids' and Rapid's timeline pages were updated on 10/11/15. The News, Teaz's, Teaz's timeline, Sketcher's, Sketcher's timeline, History, Our Dogs, Specialty and Title pages were updated on 9/30/15. The News, Teaz's, Teaz's timeline and Lucky Kitty 104 pages were updated on 9/27/15. The News, Sketcher's, Sketcher's timeline and Lucky Kitty 104 pages were updated on 9/19/15. The News, Sketcher's, Sketcher's timeline and Lucky Kitty 104 pages were updated on 9/18/15. The News, Teaz's, and Teaz's timeline pages were updated and Lucky Kitty 104 created on 9/17/15. The News, About Us, Litters and Titles pages were updated on 9/12/15. The News, Teaz's, Teaz's timeline and Lucky Kitty 103 pages were updated on 9/6/15. The News, Sketchers, Sketcher's Timeline, Teaz's, Teaz's Timeline and Litters pages were updated, and Lucky Kitty 103 created on 9/5/15. The News, About Us and Titles pages were updated 8/24/15. The News, Teaz's, Teaz's timeline and Lucky Kitty 102 pages were updated on 8/9/15. The News, Teaz's, and Teaz's timeline pages were updated and Lucky Kitty 102 page created on 7/3/15. The Home page was updated on 7/1/15. The News, Teaz's, Teaz's timeline, and Lucky Kitty 101 pages were updated on 6/23/15. The News, Teaz's, Teaz's timeline, and Lucky Kitty 101 pages were updated on 6/22/15. The News, Teaz's, Teaz's timeline, and Lucky Kitty 101 pages were updated on 6/19/15. The News, Teaz's, Teaz's timeline, Sketcher's and Suede's pages were updated, and Lucky Kitty 101 page created on 6/7/15. The Lucky Kitty 100 page was created on 6/2/15. The News and Our Dogs pages were updated, and Suede's and Suede's training blog pages were created on 6/1/15. The News, Titles, Litters and About Us pages were updated on 5/25/15. The News, Teaz's and Teaz's timeline pages were updated and Lucky Kitty 99 page created on 5/9/15. The News, Teaz's, Teaz's timeline and Lucky Kitty 98 pages were updated on 4/19/15. The News and Lucky Kitty 98 pages were updated 4/18/15. The News, Teaz's, Teaz's timeline and Lucky Kitty 98 pages were updated on 4/12/15. The News, Rapid's, Rapid's timeline and Lucky Kitty 98 pages were updated on 3/30/15. Many pages were updated on 3/13/15. Teaz's, Teaz's timeline, Lucky Kitty 97 and the News pages were updated and Lucky Kitty 98 created on 3/7/15. Teaz's, Teaz's timeline, Sketcher's, Lucky Kitty 97 and the News pages were updated, and Sketcher's timeline page created on 2/28/15. Photos were added to Teaz's page on 2/10/15. The News, Teaz's, Teaz's timeline and Lucky Kitty 97 pages were updated on 2/8/15. The News, Teaz's, Teaz's timeline and Lucky Kitty 97 pages were updated on 1/29/15. The News page was updated and photos added to the front page on 1/24/15. The News, Rapid's and Rapid's timeline were updated and Lucky Kitty 97 page created on 1/19/15. Many pages updated on 12/6/14. Many pages updated on 11/22/14. The News, Teaz's, Teaz's timeline and Lucky Kitty 95 pages were updated on 11/16/14. Many pages updated on 10/27/14. The News page was updated on 9/17/14. Many pages updated on 9/2/14. Memorial page created on 6/24/14. The Our Dogs, History, Litter List pages were updated and Sketcher's page was created on 6/22/14. 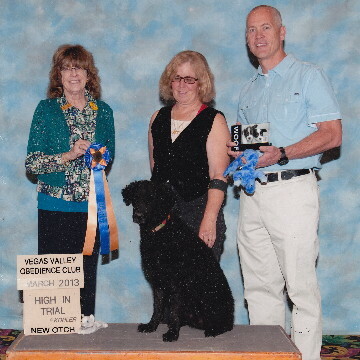 The News, Our Dogs, Rapid's, Rapid's Timeline and Lucky Kitty 92 pages were updated 6/7/14. The News, Our Dogs, Rapid's and Rapid's Timeline pages were updated 5/24/14. The News, Rapid's and Rapid's Timeline pages were updated 5/23/14. The Front Page, Available and News pages were updated on 5/15/14. The News, Rapid's, Rapid's timeline and Lucky Kitty 90 pages were updated on 1/25/14. The News, Rapid's, Rapid's timeline and Lucky Kitty 90 pages were updated on 1/24/14. The News, Proxy's, and Proxy's timeline pages were updated on 1/18/14. The News, Teaz's, Teaz's timeline and Lucky Kitty 90 pages were updated on 1/11/14. The News, Proxy's, and Proxy's timeline pages were updated and Lucky Kitty 90 page was created on 1/4/14. The News, Lucky Kitty 89, Proxy's, Proxy's timeline and Our Dogs pages were updated on 11/16/13. The News, Lucky Kitty 89, Teaz's, Teaz's timeline and Our Dogs pages were updated on 11/15/13. The News, Lucky Kitty 89, Proxy's, Proxy's timeline, Rapid's and Rapid's timeline pages were updated on 11/9/13. Lucky Kitty 89 page was created on 10/28/13. Lucky Kitty 88 page was created on 10/3/13. The News, Our Dogs, Proxy's and Proxy's Timeline pages were updated on 9/30/13. Photos were added to Kitty's page on 8/21/13. The News, Lucky Kitty 87, Teaz's, Teaz's timeline, Rapid's and Rapid's timeline pages were updated on 8/16/13. The News, Lucky Kitty 87, Teaz's and Teaz's timeline pages were updated on 8/12/13. The News, Rapid's and Lucky Kitty 85 pages were updated & Rapid's timeline page created on 4/10/13. Whole site moved to new server and a bunch updated on 3/30/13. The News, Proxy's, Proxy's timeline and Lucky Kitty 83 pages were updated on 3/3/13. The News, Proxy's, Proxy's timeline and Lucky Kitty 83 pages were updated on 3/2/13. The News, Proxy's, Proxy's timeline were updated and Lucky Kitty 83 page created on 3/1/13. The News, Proxy's, Proxy's timeline were updated and Lucky Kitty 82 page created on 2/10/13. The News, Proxy's, Proxy's timeline and Lucky Kitty 81 pages were updated on 1/26/13. The News, Brisa's, Teaz's, Teaz's timeline, Titles and Lucky Kitty 80 pages were updated on 12/7/12. The News and Lucky Kitty 80 pages were updated on 11/30/12. The News, Proxy's, Proxy's timeline and Lucky Kitty 80 pages were updated on 11/24/12. The News and Titles pages were updated, and Lucky Kitty 80 created on 11/10/12. The News, Proxy's, Proxy's timeline and Lucky Kitty 79 pages were updated on 11/3/12. The News, Proxy's, Proxy's timeline, Teaz's, Teaz's timeline, Our Dogs & Lucky Kitty 79 pages were updated on 10/28/12. Photos were added to Proxy's obedience page on 10/16/12. The News, Proxy's, Proxy's timeline and Lucky Kitty 79 pages were updated on 10/6/12. The News and Proxy's timeline pages were updated, and Lucky Kitty 79 page created on 9/23/12. The News and Proxy's timeline pages were updated, and Lucky Kitty 78 page created on 9/18/12. The News and Lucky Kitty 77 pages were updated on 8/31/12. The News, Proxy's, and Proxy's timeline pages were updated, and Lucky Kitty 77 page created on 8/25/12. The News, Proxy's, Proxy's timeline and Lucky Kitty 76 pages were updated on 8/17/12. The News, Proxy's, Proxy's timeline and Lucky Kitty 76 pages were updated on 8/11/12. The News, Proxy's, Proxy's timeline and Lucky Kitty 76 pages were updated on 7/31/12. The News, Proxy's, Proxy's timeline and Lucky Kitty 76 pages were updated on 7/28/12. The News, Proxy's, Proxy's timeline, Teaz's, Teaz's timeline & Lucky Kitty 76 pages were updated on 7/21/12. The News, Proxy's and Proxy's timeline pages were updated & Lucky Kitty 76 created on 7/20/12. The News, Lucky Kitty 75, Proxy's and Proxy's timeline pages were updated on 7/8/12. The News, Lucky Kitty 75, Proxy's and Proxy's timeline pages were updated on 6/30/12. The News page was updated and Lucky Kitty 75 created on 6/15/12. The News, Lucky Kitty 74, Teaz's and Teaz's timeline pages were updated on 5/13/12. The News, Lucky Kitty 74, Teaz's and Teaz's timeline pages were updated on 5/12/12. The News, Litters, Our Dogs, Teaz's, Teaz's Timeline and Titles pages were updated and Lucky Kitty 74 created on 5/6/12. Photos were added to Proxy's obedience & Teaz's page on 5/2/12. Photos were added to Proxy's field & Teaz's page on 5/2/12. Photos were added to Proxy's and Teaz's pages on 4/26/12. The News, Lucky Kitty 73, Teaz's timeline, Litters, Titles and Teaz's pages were updated on 4/22/12. The News, Lucky Kitty 73, Teaz's timeline and Proxy's timeline pages were updated on 4/21/12. The News, Lucky Kitty 73 and Proxy's timeline pages were updated on 4/15/12. The News, Lucky Kitty 73 and Proxy's timeline pages were updated on 4/14/12. The News, Front, Titles and Litters pages were updated on 3/8/12. The News, Dodger's, Dodger's timeline and Our Dogs pages were updated and Lucky Kitty 72 page created on 3/4/12. The News, Dodger's timeline and Lucky Kitty 71 pages were updated on 1/30/12. The Our Dogs was updated and Rapid's page was created on 1/23/12. The News & Dodger's timeline pages were updated and Lucky Kitty 71 created on 1/15/12. The News, Proxy's, Proxy's timeline, Our Dogs and Lucky Kitty 70 pages were updated on 12/10/11. The News, Proxy's, Proxy's timeline and Lucky Kitty 70 pages were updated on 12/9/11. The News, Dodger's, Dodger's timeline and Lucky Kitty 70 pages were updated on 11/19/11. The News & Dodger's timeline pages were updated, and Lucky Kitty 70 page created on 11/18/11. The News, Teaz's, Teaz's timeline, Dodger's timeline and Lucky Kitty 69 pages were updated on 10/30/11. The News, Proxy's, Proxy's timeline, and Lucky Kitty 69 pages were updated on 10/16/11. The News, Proxy's, Proxy's timeline, and Lucky Kitty 69 pages were updated on 10/15/11. The News, Proxy's, Proxy's timeline, and Lucky Kitty 69 pages were updated on 10/9/11. The News, Proxy's, Proxy's timeline, and Lucky Kitty 68 pages were updated, and Lucky Kitty 69 was created on 10/8/11. The News, Proxy's, Proxy's timeline, Lucky Kitty 68, History, Obedience and Our Dogs pages were updated on 9/18/11. The News, Proxy's, Proxy's timeline and Lucky Kitty 68 were updated on 9/17/11. A whole pile of stuff was updated on 9/10/11. A whole pile of stuff was updated on 8/21/11. The 2011 News, Proxy's, Proxy's timeline, Dodger's, and Dodger's timeline were updated and Lucky Kitty 66 created on 6/19/11. A whole pile of stuff was updated on 4/7/11. The 2011 News, Dodger's, Dodger's timeline, History, Index, Litters, Our Dogs, Titles and Lucky Kitty 64 pages were updated on 3/27/11. The 2011 News, Dodger's, Dodger's timeline and Lucky Kitty 64 pages were updated on 3/26/11. The 2011 News, Dodger's, Dodger's timeline and Lucky Kitty 64 pages were updated on 3/25/11. The 2011 News and Proxy's pages were updated on 3/12/11. The 2011 News and Lucky Kitty 63 were updated on 3/1/11. The 2011 News, Dodger's, Dodger's timeline, Proxy's, Proxy's timeline, and Lucky Kitty 63 pages were updated on 2/13/11. The 2011 News, Dodger's, Dodger's timeline, Proxy's, and Proxy's timeline were updated, and Lucky Kitty 63 page created on 2/11/11. The 2011 News, Dodger's, Dodger's timeline and Lucky Kitty 62 pages were updated on 2/6/11. The 2011 News, Dodger's, Dodger's timeline and Lucky Kitty 62 pages were updated on 2/5/11. The 2011 News, Dodger's, Dodger's timeline and Lucky Kitty 62 pages were updated on 1/30/11. The 2011 News, Dodger's, Dodger's timeline, Proxy's, Proxy's timeline and Lucky Kitty 62 pages were updated on 1/29/11. The 2011 News page and Lucky Kitty 62 were created, and Proxy's and Proxy's timeline pages were updated on 1/7/11. The News page was updated on 12/30/10. The News page was updated on 12/16/10. Photos added to Strutter's page on 12/2/10. Photos were added to Chai's, Dodger's obedience 3, and Proxy's obedience page on 11/26/10. Proxy's obedience page was created and a new look created on the index page on 11/24/10. The News, Dodger's, Dodger's timeline and Lucky Kitty 61 pages were updated on 11/14/10. The News, Proxy's, Proxy's timeline and Lucky Kitty 60 pages were updated and Lucky Kitty 61 created on 11/12/10. 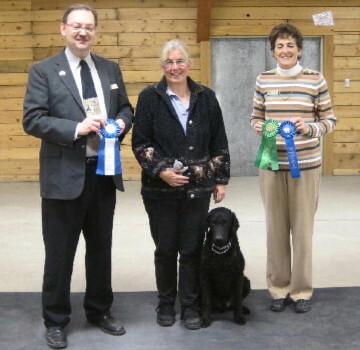 Photos were added to Dodger's obedience 3, Proxy's and the News pages on 11/5/10. Photos were added to Chai's page on 11/2/10. The News, Proxy's, Proxy's timeline and Lucky Kitty 60 pages were updated on 10/31/10. The News, Dodger's, Dodger's timeline, Proxy's, Proxy's timeline and Lucky Kitty 60 pages were updated on 10/30/10. Bing's, the News, the Index, the Litters and the Titles pages were updated on 10/24/10. Photos were added to Teaz's and the Funny 6 pages on 10/16/10. The News, Proxy's and Proxy's timeline pages were updated on 10/10/10. The News, Dodger's, Dodger's timeline and Lucky Kitty 60 pages were updated on 9/26/10. The News and Lucky Kitty 60 pages were updated and a photo added to Proxy's page on 9/25/10. The News, Proxy's and Proxy's timeline pages were updated on 9/24/10. A photo was added to Teaz's page on 9/19/10. The News, Dodger's, Dodger's timeline and Lucky Kitty 60 were updated on 9/4/10. The News, Dodger's, and Dodger's timeline were updated and Lucky Kitty 60 created on 9/3/10. The News, Funny 6, Teaz's, Proxy's and Lucky Kitty 59 were updated on 8/29/10. The News, Dodgers, Dodger's timeline and Lucky Kitty 59 were updated on 8/22/10. The News, Chai's, Dodger's, Dodger's timeline, Dodger's obedience 3 page, Lucky Kitty 59 and Proxy's pages were updated on 7/23/10. The News page was updated and Lucky Kitty 59 created on 7/8/10. Chai's page was created on 7/7/10. The Lucky Kitty 58, Idaho wildflowers, Montana wildflowers and Utah wildflowers pages were updated on 7/1/10. The News and Lucky Kitty 58 pages were updated on 6/28/10. The News, Dodger's, Dodger's timeline and Lucky Kitty 58 pages were updated on 6/26/10. The Available and Our Dogs pages were updated and Teaz's page was created on 6/15/10. The News, Dodger's, Dodger's timeline, and Lucky Kitty 58 were updated on 6/4/10. The News, Dodger's, Dodger's timeline, Lucky Kitty 58, Southern California Flowers 8 and Western Flowers 4 were updated on 5/30/10. The News, Bebe's, Bing's, Dodger's obedience 2, funnies 4 and the Specialty page had photos added and Lucky Kitty 58 & Dodger's obedience page 3 was created on 5/21/10. The News, Tetley's, and the Front page were updated and Lucky Kitty 57 created on 5/3/10. The News, Dodger's, Dodger's timeline, Lucky Kitty 56, Bing's, Bebe's, Flint's and the Specialty page were updated on 4/26/10. The News, Dodger's, Dodger's timeline and Lucky Kitty 56 were updated on 4/21/10. The News and Lucky Kitty 56 were updated on 4/20/10. The News, Dodger's, Dodger's timeline, Index, Titles, Our Dogs were updated and Lucky Kitty 56 created on 4/19/10. The Available and Lucky Kitty 55 pages were updated and the I litter page created on 4/15/10. The News, Dodger's, Dodger's timeline, Available and Lucky Kitty 55 were updated 4/3/10. The News, Dodger's, Dodger's timeline and Lucky Kitty 55 were updated and a photo added to Funnies 4 on 3/1/10. The News, Dodger's, Dodger's timeline and Lucky Kitty 55 were updated & photos added to Sheba's & Dodger's field 3 page and Funnies 4 on 2/27/10. The News, Available, Bing's, Brisa's, and Our Dogs pages were updated and Lucky Kitty 55 created on 2/22/10. The Index, Available, Dodger's and Dodger's timeline pages were updated on 2/9/10. The Available page was updated on 1/31/10. Proxy's, Proxy's timeline, Lucky Kitty 54 and the front page were all updated on 1/17/10. A photo was added to Mojo's page on 1/7/10. The Proxy's, Proxy's timeline and Lucky Kitty 54 pages were updated on 1/5/10. The Front, News, Dodger's, Dodger's timeline and Lucky Kitty 54 pages were updated on 1/1/10. 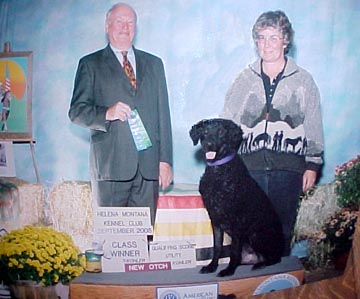 Videos were added to Dodger's obedience page 2 and to the Video page on 12/15/09. The News, Bud's, Titles and Litters pages were updated, the Front page "went winter" and a picture was added to Kitty's page on 12/9/09. The News, Bebe's and Titles pages were updated on 11/9/09. The Client page was updated and Lucky Kitty 54 created on 10/25/09. The News, Dodger's, Dodger's timeline and Lucky Kitty 53 pages were updated 10/10/09. The News, Dodger's, and Dodger's timeline pages were updated and Lucky Kitty 53 was created on 9/27/09. The News and Clients pages were updated, and Lucky Kitty 52 was created on 9/13/09. The News, Dodger's, Dodger's timeline and Lucky Kitty 51 were updated on 8/29/09. The News, Dodger's, Dodger's timeline and Lucky Kitty 51 were updated on 8/21/09. Lucky Kitty 51 page was created on 8/18/09. The News, Dodger's, Dodger's timeline, Proxy's, Proxy's timeline and Lucky Kitty 50 were updated on 8/9/09. The News, Dodger's, Dodger's timeline, Proxy's, Proxy's timeline and Lucky Kitty 50 were updated on 8/8/09. The News, Dodger's, Dodger's timeline and Lucky Kitty 50 were updated on 8/1/09. Bing's and Surf's pages were updated on 7/20/09. The Available and Bing's pages were updated, photos added to Dodger's agility 2 page and the Lucky Kitty 50 page was created on 7/19/09. The News, Dodger's, Dodger's timeline, Lucky Kitty 49 and Clients pages were updated on 7/5/09. The News, Dodger's, Dodger's timeline and Lucky Kitty 49 pages were updated on 7/4/09. The News, Dodger's, Dodger's timeline, Dodger's agility 2 and Lucky Kitty 49 pages were updated on 7/3/09. The News, Dodger's, Dodger's timeline, and Lucky Kitty 49 pages were updated on 6/24/09. The News, Dodger's, Dodger's timeline, Lucky Kitty 49 pages were updated and a picture was added to the funny3 page on 6/22/09. The News, Dodger's, & Dodger's timeline pages were updated and Lucky Kitty 49 was created on 6/21/09. The News, Dodger's, Dodger's timeline and Lucky Kitty 48 pages were updated on 6/13/09. The News, Dodger's, and Dodger's timeline pages were updated on 5/24/09. The News, Dodger's, Dodger's timeline, Index and Titles pages were updated on 5/23/09. The News, Tetley's, 2009 litter, Index and Titles pages were updated on 5/20/09. The News, Dodger's, Dodger's timeline, and Lucky Kitty 47 pages were updated, and Lucky Kitty 48 was created on 5/16/09. The News, Dodger's, Dodger's timeline, and Lucky Kitty 47 pages were updated on 5/16/09. The News, Cal Flowers 6, Dodger's, Dodger's timeline and Lucky Kitty 47 pages were updated on 5/3/09. The News, Bebe's, Bud's, CA flowers 6, Dodger's, Dodger's timeline, Flint's, and Funny Page 2 pages were updated and Lucky Kitty 47 was created on 5/02/09. The California Flowers 6, Western flowers, other flowers, and Bud's pages were updated and Lucky Kitty 46 was created on 4/30/09. The News, Index, Lucky Kitty 45, Proxy's and Proxy's timeline pages were updated on 4/25/09. The News, Index, Lucky Kitty 45 and Bebe's pages were updated on 4/24/09. The News, Dodger's, Dodger's timeline, Proxy's, and Proxy's timeline pages were updated, and Lucky Kitty 45 was created on 4/23/09. The News, Dodger's, Dodger's timeline, Proxy's, and Proxy's timeline pages were updated, and Lucky Kitty 44 was created on 4/18/09. The News, Dodger's, and Dodger's timeline pages were updated 4/17/09. The News, Lucky Kitty 43, Proxy's, and Proxy's timeline pages were updated on 4/4/09. Photos were added to Diver's garden and California flowers 6 pages and a page was created for photos from last weekend's NAHRA trial on 4/3/09. Lots of pages updated and California flowers 6 and Lucky Kitty 43 were created on 3/30/09. The News, California flowers 5, Dodgers, Dodger's timeline and Lucky Kitty 42 pages were updated on 3/21 & 22/09. The Available page was updated on 3/9/09. The News, Proxy's, and Proxy's timeline pages were updated, and Lucky Kitty 42 &California Flowers 5 pages were created 3/8/09. The News, Dodger's, Dodger's timeline and Lucky Kitty 41 pages were updated 3/2/09. The News, Dodger's, Dodger's timeline and Lucky Kitty 41 pages were updated 2/27/09. Photos were added to the News and Dodgers Field photos 3 pages on 2/23/09. The News, Dodger's, Dodger's timeline, and Lucky Kitty 41 pages were updated on 2/22/09. The News, California flowers 4, Diver's obedience page, Dodger's, Dodger's Field pictures 3 and Dodger's timeline pages were updated and Lucky Kitty 41 was created on 2/14/09. The 2009 News, Lucky Kitty 40, Arizona flowers, Dodger's and Dodger's timeline pages were updated 2/8/09. The 2009 News page and Lucky Kitty 40 were created and the Arizona flowers, Kitty's, Dodger's and Dodger's timeline pages were updated 1/18/09.